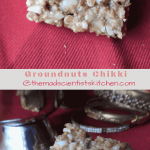 Peanut chikki, peanut brittle, or groundnut chikki is my family’s favourite chikki and we always keep buying it. Come January it is time for the first change in the zodiac after the winter solstice. According to the Hindu calendar is the first day of the month of Magha which is Makar Sankranti. It is also known as Makara Sankranti, Sankramana, Pongal. In Northern India, I believe Sankranti is the kites festival. In Karnataka, it is celebrated on two days. The first day being Bhogi and is always a day before Sankramana and the second day is Sankranti called Sankramana. In Maharashtra and Goa, you will find ladies bedecked in their finery and with bags in their hands visiting their neighbours for Haldi Kumkum. The practice is to gift the lady visiting with a small token of saubhagya (good luck) may be kumkum, combs, bangles but then recently there are household articles making the round I always have about 2-3 dishwashing liquids or sooji, sugar. Sankranti or Pongal marks the northward journey of the sun, and the change in seasons. It is basically the harvest season and the abundance of food is celebrated all around the country. Nature and its cycles are integral to Hinduism. We are aware of the fact that living in harmony with nature is beneficial to our wellbeing. It is all about live and let live. More importantly it is a good excuse to eat Chikki. Chikki is a healthy alternative to most hard candy that we end up buying basically because it uses jaggery that is unrefined sugar and nuts. The most commonly used nuts are peanuts, sesame seeds, cashew nuts. Generally, groundnuts, sesame seeds both oilseeds are needed to fuel our body’s need for more energy in the cold season. Hence, they are made into brittles or chikkis with jaggery in the past. It is only now that sugar has become so common in our lives that we use sugar to make brittles. Though these sugar brittles look pretty the jaggery ones have more health benefits. 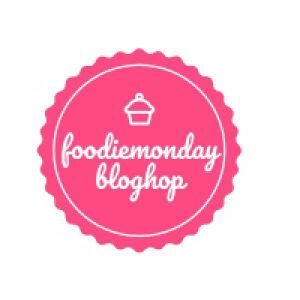 In Foodie Monday BlogHop this week we are celebrating #178 Harvest Harmony. 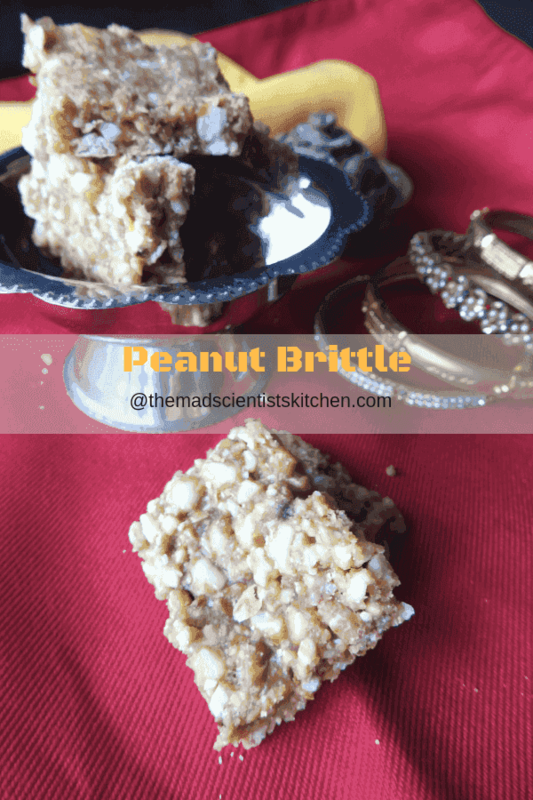 And finally, after sitting on my to-do list for ages this Groundnut Chikki or Peanut Brittle is seeing the light of the day in my kitchen. Ellu bele togond ellu bella hante ironu! Tilgul ghya ani godd bola! Wish you all a Very Happy Sankranti! In thick kadhai/wok add the peanuts and roast them. To roast the peanuts on low flame initially till the pan heats up you can collect the rest of the ingredients then start stirring the nuts. You need to actually start stirring continuously after about 5-10 minutes. While the nuts are cooling grate the jaggery. Only in my case the jaggery I picked up was so hard that I needed to pound it. The worst part way generally when you pound jaggery it becomes sticky here we were ‘jaise the’. I mean nothing happened. Add the water and set aside in a thick bottomed pan. Now rub the peanuts and remove the skin. I recently came across a suggestion (don’t remember the site) where the lady added the peanuts to a kitchen towel and then rubbed the peanuts with another kitchen towel. I will definitely be trying it next time. Coarsely grind the peanuts and set aside. You can use the peanuts whole. Grease a steel tray or plate also grease the bottom of a small bowl with ghee and set aside. Get a small bowl half filled with water and set aside. (This is to test the readiness of the jaggery). In the pan where you have soaked the jaggery by now the jaggery must have melted. However if you have stubborn jaggery like mine add a little more water. (You will have to cook a bit longer to get the necessary hardness of the syrup). Add the ghee and start heating on low-medium flame till the mixture starts boiling. After a boil for 10-15 minutes the syrup will thicken. Now test the syrup by adding a drop of the hot jaggery in the bowl of water. If the jaggery drop forms a soft ball when pressed it is ready else continue heating the mixture and testing the mixture. In case the jaggery is not ready it will spread. Add the groundnuts in the mixture and mix well. Work fast for the mixture thickens almost immediately. Remove from heat and spread the mixture on the greased plate press evenly with the katori. (Check notes). When the mixture is still warm cut in sizes using a sharp knife. Leave it alone and let it cool for an hour. Remember jaggery burns are very painful and hence leave it alone and they break too. Once cooled remove carefully bite into a few bits then store in an airtight container else they get sticky. Get the ingredients lined up before you start making the chikki. Timing is crucial. Use the same katori to measure the peanuts and jaggery. In case your jaggery is hard like mine add water and let it sit on the counter for some time. You will need extra water that is fine you will have to boil it for a longer time. While the nuts are cooling grate the jaggery. Only in my case, the jaggery I picked up was so hard that I needed to pound it. The worst part way generally when you pound jaggery it becomes sticky here we were ‘jaise the’. I mean nothing happened. Add the water and set aside in a thick bottomed pan. In the pan where you have soaked the jaggery, by now the jaggery must have melted. However, if you have stubborn jaggery like mine add a little more water. (You will have to cook a bit longer to get the necessary hardness of the syrup). After a boil for 10-15 minutes, the syrup will thicken. Now test the syrup by adding a drop of the hot jaggery in the bowl of water. If the jaggery drop forms a soft ball when pressed it is ready else continue heating the mixture and testing the mixture. In case the jaggery is not ready it will spread. The peanut Chikki looks so brittle and perfectly done. This is our family favourite. 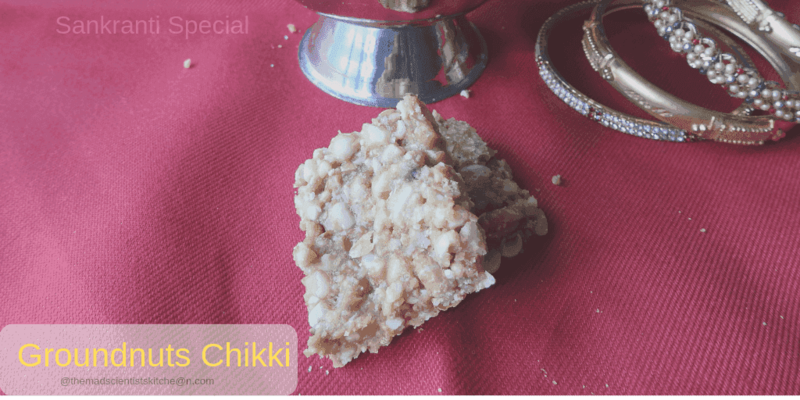 Peanut Chikki for me is all season although its made during Sankranti and has to be consumed ideally during winters, the chikki is often my only source of a small bite when sugar cravings hit hard. Healthy and satisfying. They look super. Makar Sankranti chi Shubecha Sarvana! Don’t take dieting so seriously. Abhi to umar padi hai diet ke liya. Chikkis are my family favourite and I always make some and keep to have after dinner or any time munching snack for kids in winters. Yours is looking so perfectly done!! That peanut chikki is so tempting Archana! I love peanut chikki and you made these so perfectly. Always bought from store but never tried at home. Now you tempted me to try. Perfect share for this season. Loved it. Haven’t made peanut chikki in a long time. It was a regular in our home when the kids wee young and I would put a piece in their break box. I like the idea of coarsely grinding the peanuts.. makes it easier to bite into. The sight of the chikki takes me back to childhood days when my aunt would make these and we would queue up to grab handfuls of peanut chikki while they were still warm from the making. Very nice recipe, Archana! I love peanut chikki. It is so tempting and and can’t stop eating once you start. Such a wonderful share Archana.